This week I put the focus of my research on the general sneaker industry in response to several questions and comments posted for my former blogs by my project advisor, T. Margaret as well as my peers. While I got the chance to review some knowledge that I have been familiar with for a long time, I also got some new discoveries on such a currently prosperous industry. Let’s dive into it. According to Forbes, the Sneaker business in the U.S. was valued at $22 billion in 2013, a new record. The U.S. Sneaker business has grown consistently for more than a decade. Since 2004, there has been a nearly 30% growth, which is quite impressive compared to other fashion industries. First, let me answer a question many of you might have: why are these Air Jordan and Nike sneakers so expensive? Well, let me clarify something first. Not all Air Jordan and Nike sneakers are expensive. Some models, such as “Nike Roshe Run” and “Air Jordan Eclipse,” are not considered high-end sneakers because they have a low retail price as well as a minimum space for value growth due to several reasons I will mention later. By contrast, those sneakers that create value for the market are called high-end products because of their steadily growing price due to high anticipations of sneakerheads. Why are they expensive then? If you have learned basic economics, you will probably be very familiar with the relationship between demand and supply, and that’s the exact reason for it. First, let’s look at the supply side together. Nike, including Air Jordan as one of its sub-brands, releases sneakers at a limited amount. 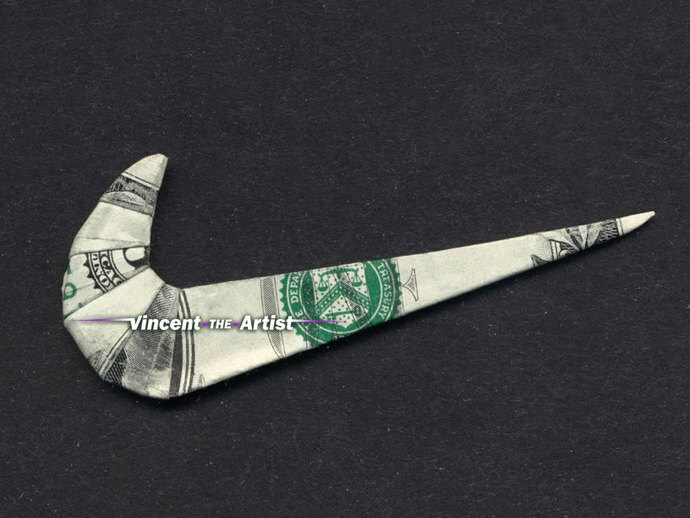 The amount is decided arbitrarily by Nike and it is never published; however, underground news often leak away from the employees working for Nike. The price of the sneakers is closely related with the supply. Sneakers with less amount released often turn out to be more expensive than those with a large amount of releases. If you are interested, take a look at the contrast between Air Jordan III Retro Powder Blue and Air Jordan II Retro Just Don. Then let’s talk about demand. The demand of sneakers often comes from enthusiastic sneakers collectors and re-sellers, just like me. 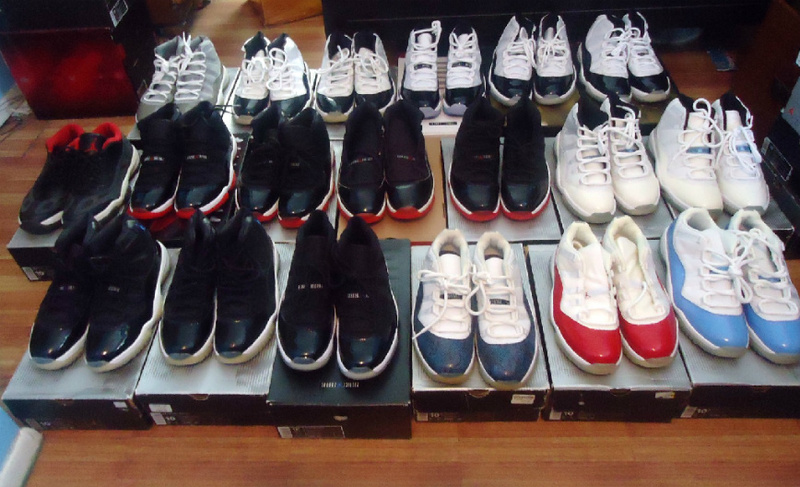 Several things can influence the demand for a specific pair of sneakers. First, the design of the sneakers is a crucial factor, which means if a pair of sneakers is deemed good-looking and fashionable by sneakerheads, the demand is very likely to increase. Second, the history of the sneakers also counts. Some sneakers with a history related to Michael Jordan are very popular among sneakerheads because of their respect for the legendary Michael Jordan. For example, Air Jordan 12 Flu Game has always been a much desired pair of sneakers because Michael Jordan wore this model to play a game with serious flu, but still dropped 38 points and helped the team get the win. The sneakers have become a symbol of Jordan’s greatness, and thus its value rose up with an increased demand. After we have covered demand and supply separately, let’s put them together and answer this question, how does Nike pick the original price point? Here, a significant point needs to be clarified: when we talk about Nike, we include Nike Stores as well as all the retailers that have partnership with Nike, such as, Foot Locker, Champs and Kicks USA. The price of a specific pair of sneakers is the same among all registered retailers of Nike, which means that the price is never driven up by these official public retailers. The people who drive the price up are the re-sellers, and I will talk about them in a second. As the supply of the sneakers, Nike has been smart and uses their information on demand as the major factor of their decisions. Of course we are not able to access the complicated system Nike uses as outsiders, but over the two years I have been involved in the sneaker industry, I have concluded that Nike has deliberately increased the retail price of the sneakers for several times. In 2013 when I first stepped into this business, the retail price was located at $170. However, since there are more and more sneaker re-sellers entering the market in these past two years, Nike has pushed its retail price of most sneakers to $190 in order to, obviously, make more profits. However, their model is certainly not that simple. For some extremely popular sneakers such as Air Jordan 1 Retro Chicago, Nike actually lowered its retail price to $160 to attract even more customers. Nike’s pricing strategy has won it an impressive growth rate. The fiscal 2015 ended with a rise of 10.08 percent in its revenue from the fiscal year 2014, and such a trend has been going on for almost a decade. Last but not least, after analyzing the game Nike is playing, let’s talk about the life of us, sneaker re-sellers. According to Financial Times, a professional market analysis magazine, sneaker resale market has reached an estimated $1 billion in sales in 2015. Re-sellers have definitely benefited with a prosperous market. Basically, what Max Han and I, as well as other re-sellers do, is to cop sneakers at a lower price that is under its actual market value and then push their price above their value during sales. It may sound a little bit difficult, but it is actually all about opportunities and connections. Since Jeff, another colleague of mine, has connections in Nike factory stores, we are sometimes able to get high-valued sneakers at the retail price. More importantly, we also stay active on eBay, as well as different Facebook Sneaker Pages and Instagram Sneaker Re-sell Profiles. Because we have done so many background researches and know almost every pair of sneakers on the current market, we are able to act quickly as soon as opportunities occur and bring profits back into our profits. E-Commerce has definitely helped us a lot. Nowadays people not only buy sneakers in virtual retail stores, but also cop them online frequently. The online market has provided us with an open platform for trades and sales. Even though the profit varies from shoes to shoes,, we are seldom frustrated because research has backed us up with a lot of information. That wraps up my blog post for this past week. As you can see, I stepped back a little bit. Instead of doing a structured sneaker analysis, I choose to take a more detailed view at the current market, which has been dominated by Nike but also has left re-sellers niches. This week I will keep up my post on the relationship between entrepreneurship and innovation, and my new sneaker analysis edition will come out next week. Stay tuned! This entry was posted in Business and Industry, Entrepreneurship and tagged #learning, business, entrepreneurship on October 6, 2015 by realrowo. Roger every week you impress me with your insight into the sneaker industry. Your views on sneakers are so specific yet translate over to the world economy as well. It’s refreshing to see you using your love for sneakers to explore economic science.